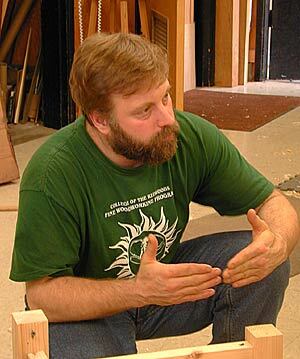 Greg Smith has been a furniture designer/craftsman since attending CR FWW during the 1991-1993 school years. He is now back teaching at the program, while continuing to make fine furniture. His work is featured in James Krenovs’ book "With Wakened Hands" and has appeared in Home Furniture, Fine Woodworking, and Woodwork magazines. Greg’s furniture, with its refined style and attention to detail, has won numerous awards and is represented in galleries across the country.